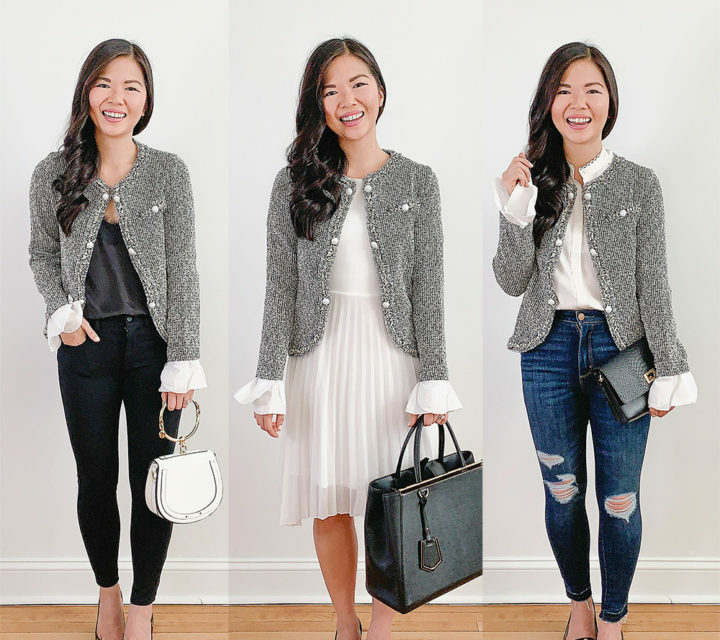 When Did Puff Sleeves Become a Thing? I’m all about fun shoulder and sleeve trends, but puff sleeves? I’m still on the fence. 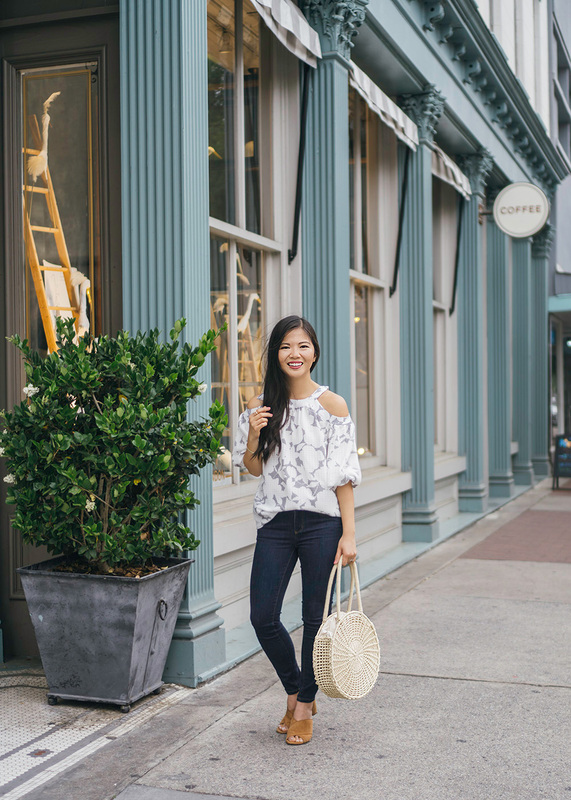 Okay, I have to admit, I really really love this floral cold shoulder top – it doesn’t get much more spring than that gingham/floral mashup print (which also comes in a pair of shorts!). 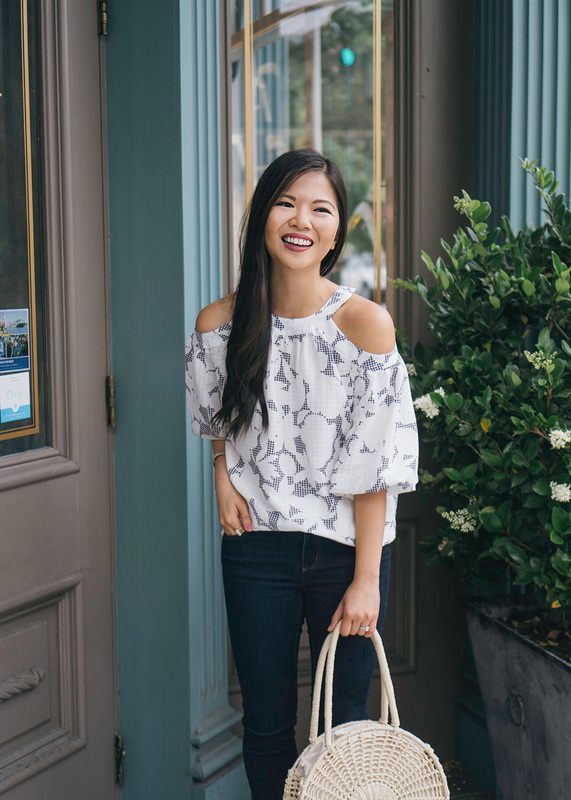 And of course I love all things cold shoulder. So when I went to go try this top on in person, I was a little bit taken aback by the puff sleeve at first. This is a thing now? Who decides this stuff?! I think if done wrong, it could feel very oversized and 80’s prom dress. 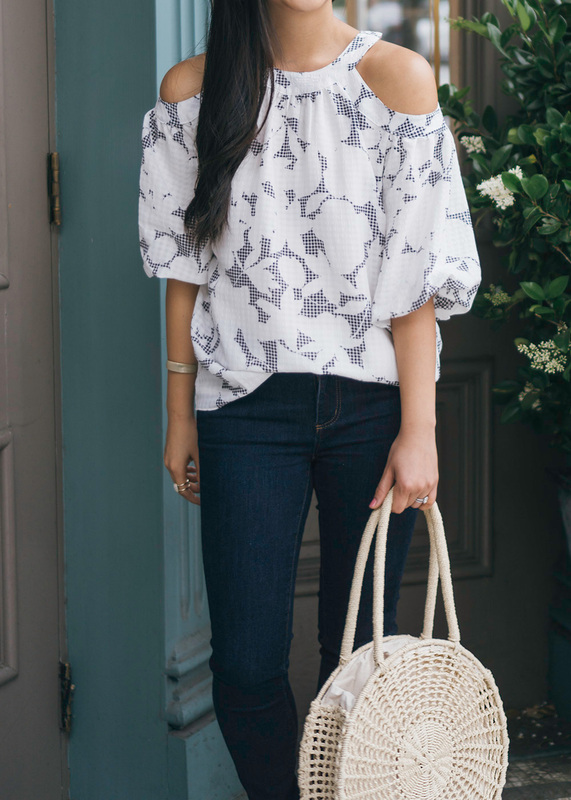 If done right and paired with a more subtle print (unlike like this top) than I have to admit that it does add a fun bit of volume and interest. 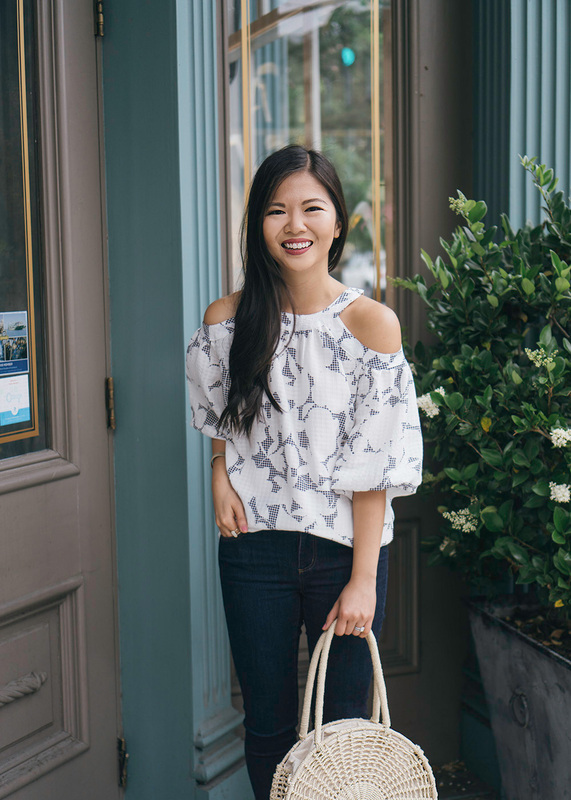 It’s growing on me and the cutouts on this top give it a nice balance (must be a hit considering it’s almost sold out in sizes!). I would just make sure you pair with something slimming on the bottom like dark skinny jeans, because like all things in life – it’s about balance! 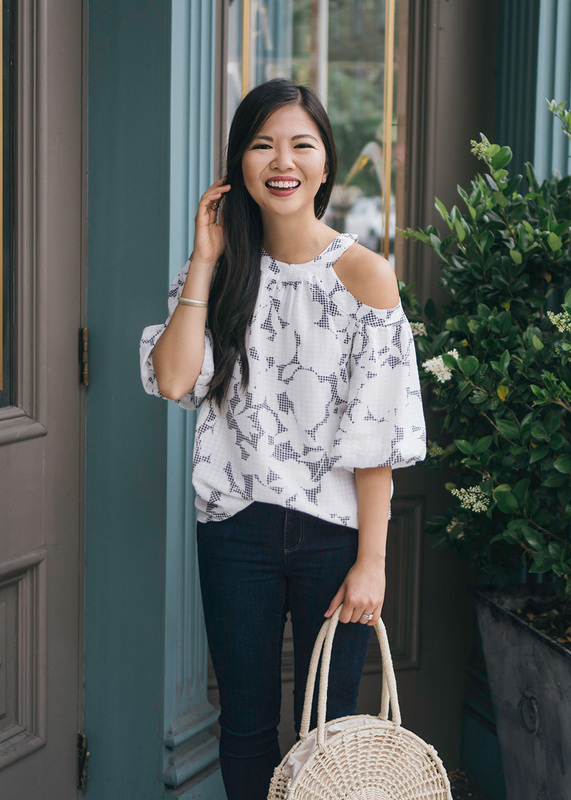 What do you think of puff sleeves? Yay or nay? Let me know in the comments section! I’m with you and I questioned the same thing! All of a sudden I see puffed sleeves! But I do like this top and it works on you! I love puff sleeves on everyone except myself. I feel like they overwhelm my petite frame. That said, I love the subtleness of this top! I recently got a dress with puffy sleeves too and I’m not sure how I feel about it either! But I do think this top is cute how you’ve styled it!